I would often tell my husband about our neighbors in Miami who would dig a pit in the backyard and roast an entire pig. Imagine my surprise when I learned they do something very similar in Hawaii, where my sister-in-law and my good friend from college come from! (Hi Anneke! Hi Liz!) 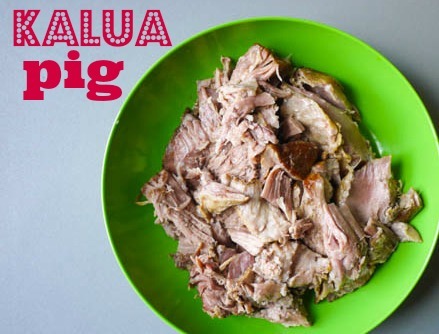 If I started digging a huge pit behind my apartment with a huge pig carcass, the cops would surely haul me away, so the next best thing, according to Pineapple and Coconut’s Hawaiian Style Kalua Pork Recipe is a slow cooker and some liquid smoke. I once watched Alton Brown make liquid smoke from scratch. About 10 hours and a billion dollars later, he had about a half teaspoon of liquid smoke. I decided right then that I was fine buying liquid smoke from the grocery store. You can get the pink alaea sea salt from Cost Plus World Market or Whole Foods if you are on the mainland. I assume you can find it everywhere in Hawaii. If you can’t find it, coarse sea salt will also work. 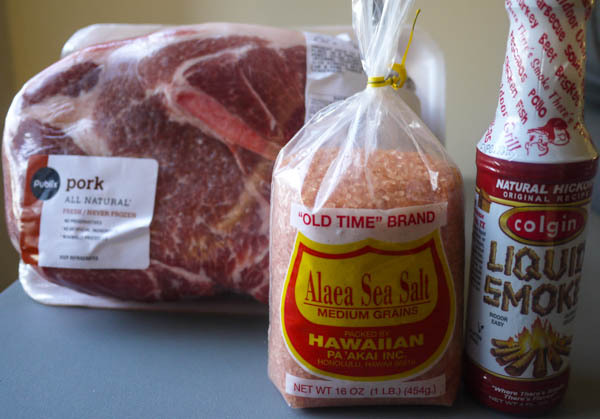 Pierce the pork all over with a fork so the flavor gets deep inside the meat and salt it with the Alaea sea salt. 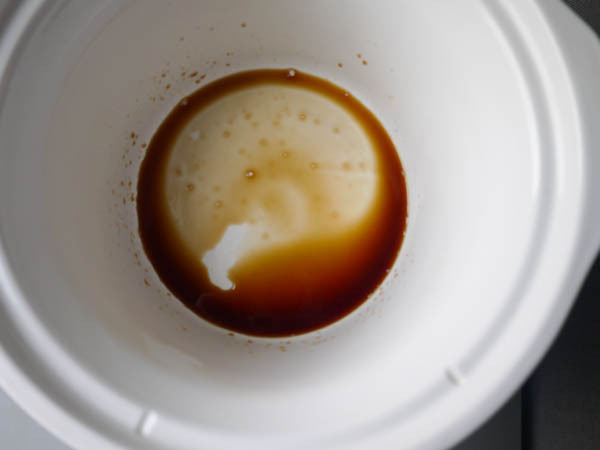 Pour half an tablespoon of liquid smoke into the crockpot. 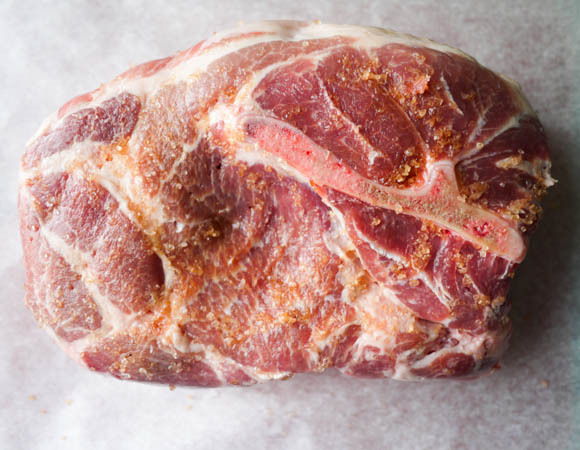 Place your salted pork into the crockpot. 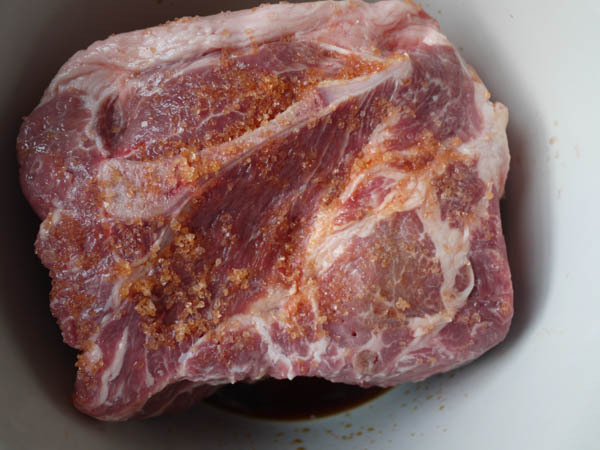 Pour the remaining half a tablespoon of liquid smoke over the top of the pork. Cook on low for 6 hours. My whole apartment smelled like the most delicious bacon. 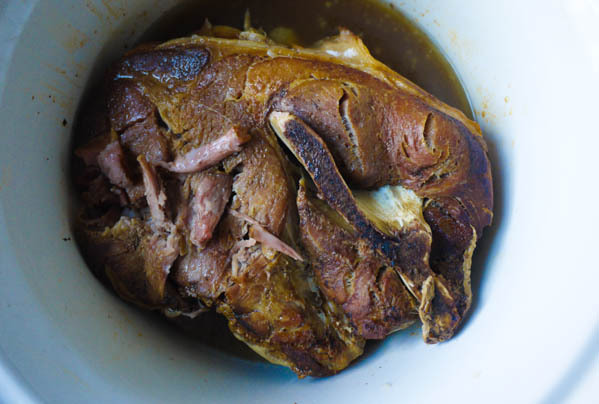 Using two forks, shred the pork into large chunks right there inside of your crockpot so the meat gets coated in the gravy. Unless you have a big family, 4 pounds of shredded pork can seem like a lot of meat to have kicking around the house. Luckily, there are a ton of ways you can use it. First, it’s perfectly fine to freeze a portion of it in a freezer-safe ziploc bag once it has cooled down. 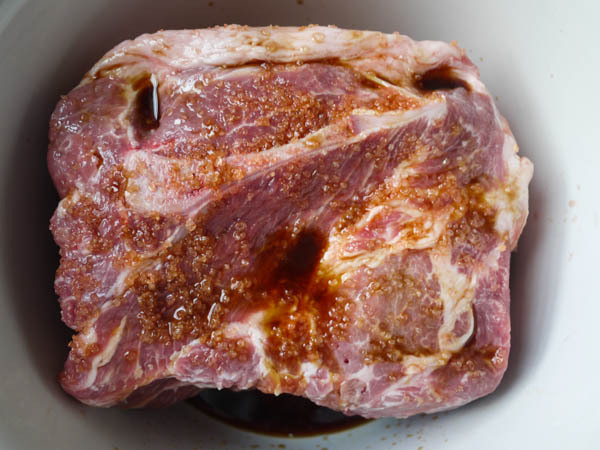 Make sure to put a little of the cooking liquid into the bag with the pork, so that when you reheat it (in a crockpot or in the oven), it will not dry out. Second, you can top it with coleslaw or pickled red cabbage and turn it into a sandwich. Third, mix up a few eggs, some pickled jalapenos, cheddar cheese, and some pork and heat in a skillet until cooked through to make a nice breakfast frittata. The list is endless! 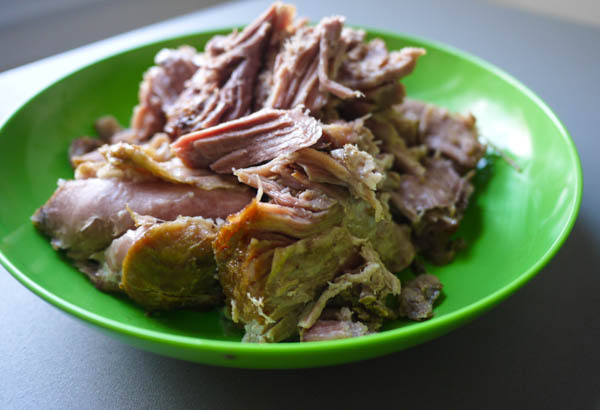 Hawaiian-style salted, smoked pork cooked in the crockpot. 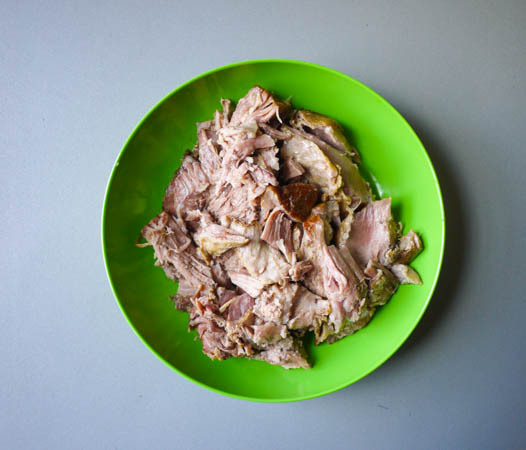 Pierce the pork all over with a fork so the flavor gets deep inside the meat. Salt it with the Alaea sea salt. Another great recipe I need to try. I’m going to have to look for that salt the next time I’m at World Market–That pork looks SO good…I bet it’d be great with some grilled or carmelized pineapple on the side….Yum!